Summer = County Fair | Yobot Inc.
Robert and I are trying to do local things, to get involved in our new community, and learn more about the town we’ve chosen to call home. We decided to venture out to the local County Fair last week. For those of you who don’t know Robert and I personally, we LOVE fairs, be they State, County, or World. 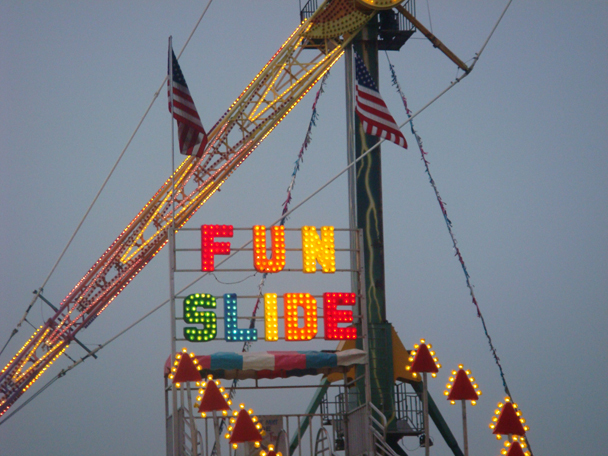 We frequently visit theme parks, fairs, faires, carnivals, and even fests. We weren’t disappointed with this County Fair – it had all of our favorites. Kettle Corn, Corn Dogs, and Corniness. We visited the poor animals in cages (rabbits, even!) and saw the cows, sheep, and pigs, viewed the 4-H exhibit, made friends with the local Democrats, and learned how we could get involved with Obama. 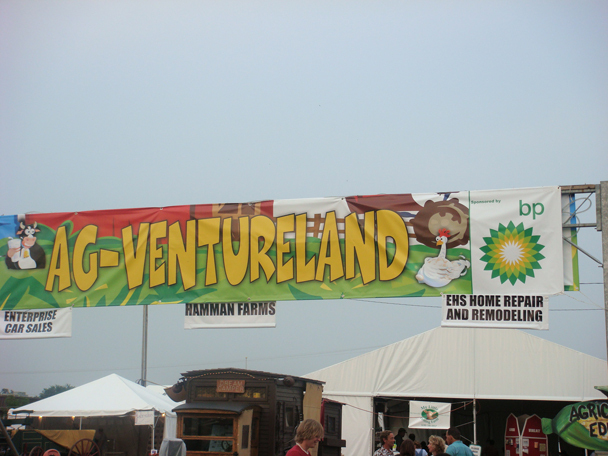 The most interesting thing we saw at the Ag-Ventureland – an agricultural area devoted to local farming, with farm equipment, farm animals, and real-live farmers. It was an advenutre to visit Ag-Venture. Click on the picture to get a better look-see. It was sponsored by BP! BP – the “one of the largest integrated oil companies in the world”.